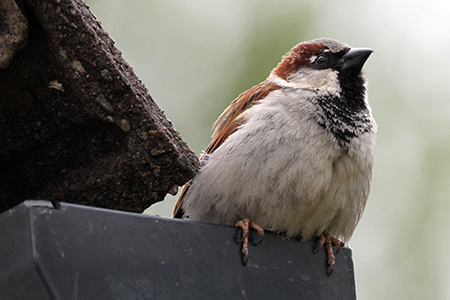 A male house sparrow in our garden, photographed by my wife. He spends all morning near the bird house in our garden. We call him Fluffy.